Taking businesses to the next level by vibrant existence and letting the world know is the prime requisite of the entrepreneurs. Quiks Design is one of the leading SEO companies in London. Here, we are help to improve your search engine visibility for big and small companies. We are the “best SEO company London”, who used advanced method and updated algorithm to enhance the ranking of your website in search engine results. Our main motto is increased your website conversion rate and boost your sales. Every Business Owner wants their website on the top of Google Search Engine Results. Because Google first page result gets more clicks on the website which increases your sales and revenue. We convert the weakest things on the website to into strength to increase its visibility on the Google. A proper SEO strategy is the only need to make your website enjoy a global recognition. Being a prominent part of this industry for years, we have known the best strategies for better visibility. Since nowadays, the only challenge is to leave your competitors behind implementing effective strategies prove to be the best technology for websites. As a reputed name, we cater your various needs by understanding your business. Our pool of experienced and skilled SEO analysts proves to be the best to get a higher ranking and improved visibility. As per the latest Google update, SEO is known as the best technique and recommended for the business websites. We ensure keyword ranking on the first pages of the SERPs by including quality and real contents, link building by the professionals, a team for PPC management, social media promotion thereby making the best business promotion. We not only build a website, but also guarantee to optimize in the popular search engines like Google, Bing, yahoo and much more in order to improve traffic to your website. At Quiks Designs, we make the best efforts my implementing strategies that are customized just for your business. We guarantee you a better rank, increased traffic and increased conversion with our professional SEO service. Combining the knowledge of our SEO experts, we built, design and optimize the business websites in the best possible manner. We believe in developing effective strategies depending on your requirements and expectations from your business website. We know that website needs to be built according to you, and this is the reason why we keep on updating regarding any changes and wait until your approval. And from Google result 2nd page and so on….don’t get clicked at all. Why Need Search Engine Optimization? Better User Experience: Optimization is not only used for ranking but it’s also good for user Experience by providing them better navigation and content. Higher Close Rates: The website find in search get an average 14.6% close rate in comparison of any outbound leads, who want to attract the customer. Increase Brand Credibility: First page rank signals to searcher that you are a big player in your market. Whether, many time searchers think that 2nd and 3rd page may be new in business or they are not perform good business. 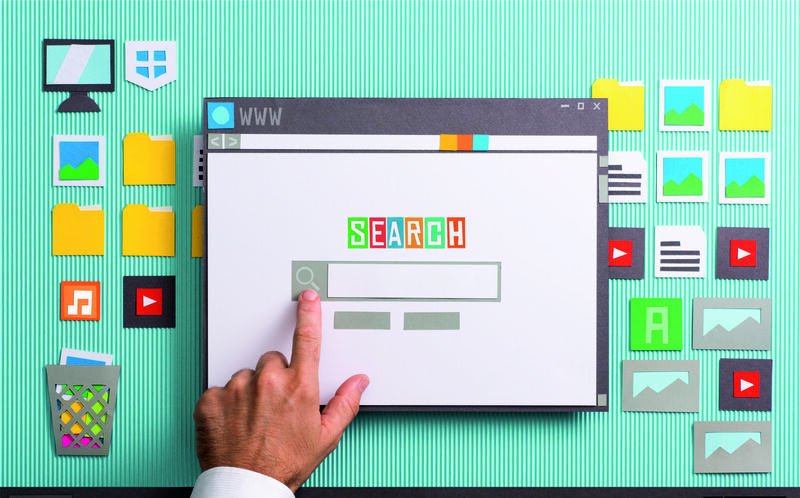 Effective Buying Decision: Before buying any product or services online, most of the searcher searches on Google and try to know about their product. The searcher mostly looks on the 1st pages result to know about the product or services. Increase Conversion rate and Revenue: If your website is on 1st page then they visit your website and able to know about your service its increases your conversion chance which ultimately leads to a sell. Quiks Design is an online SEO agency UK having over 15 years combined experience in the SEO and the digital marketing area; you can rest assured that we aim to give you the best exposure in Google Search Result. We help every type of business to generate more revenue by driving traffic, connecting with customers, building awareness and boost your overall sales. Quiks Design aims to provide you the best seo services in London. Call Now or Enquire Online! Call us now to enjoy a better business promotion by proper optimization from qualified SEO services in London at a competitive price. We know it is hard to find the best SEO agency in UK, which success rate is very high. That’s the reason we are here to listen and understand your requirement and then plan the best strategy to meet your expectation and grow your business exponentially. Implementing strong and quality SEO on your website will impact on your brand and boost your marketing efforts. So search online for “best SEO Company London” or “SEO agency UK”. If you want to get the best quotation for your website SEO in London, please call the Quiks Design for local SEO London or please complete the form for an Instant Free best Quote. To get an instant best Quote from SEO services London, UK to get your website on Google 1st page then call Quiks Design Local SEO London on +44-7882771797 or email at info@quiksdesign.com.